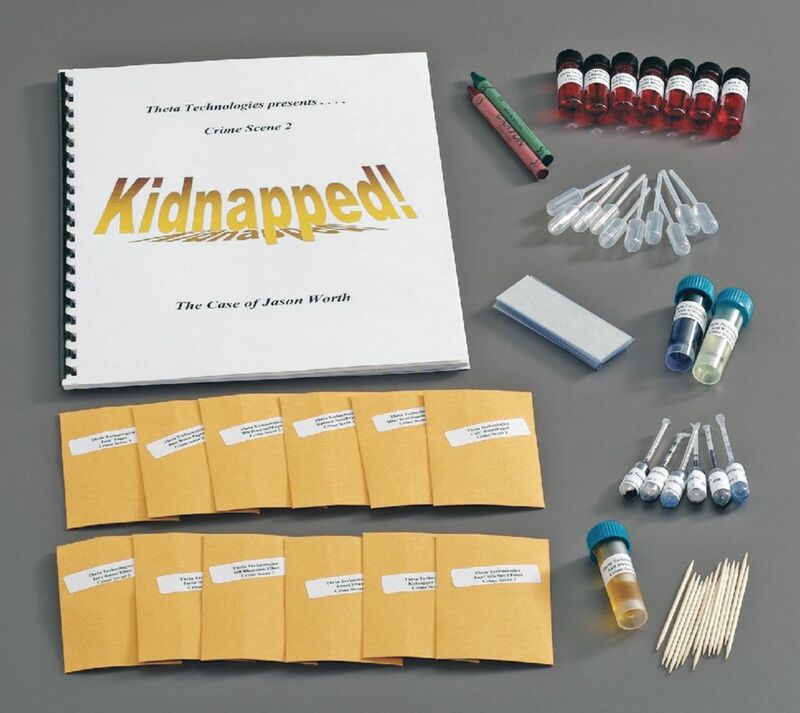 All the intrigue, mystery, and excitement of an actual case arrives in your lab with this lab activity. Here’s a chance to relate biology and chemistry to the real life application of criminal investigations. Includes a teacher’s guide, reproducible student instructions, and enough materials for 12 setups. Students will determine who the kidnapper is by performing blood, fiber, fingerprint, ink, and paper analysis tests.